March 22-23, 2019 (only a few spots left). 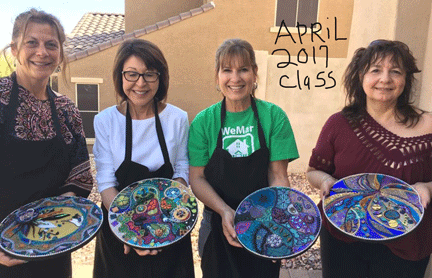 April 19-20 will be My Flower class (previous students only for this class). 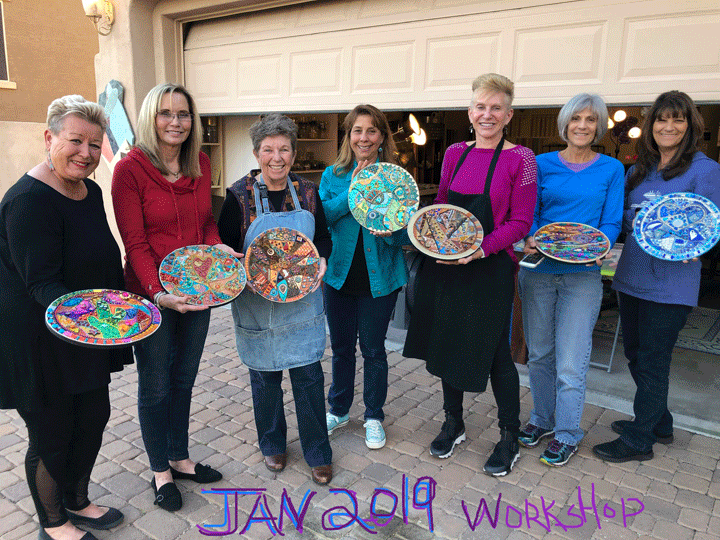 Please contact me if you are interested in attending any of my workshops or need additional information. 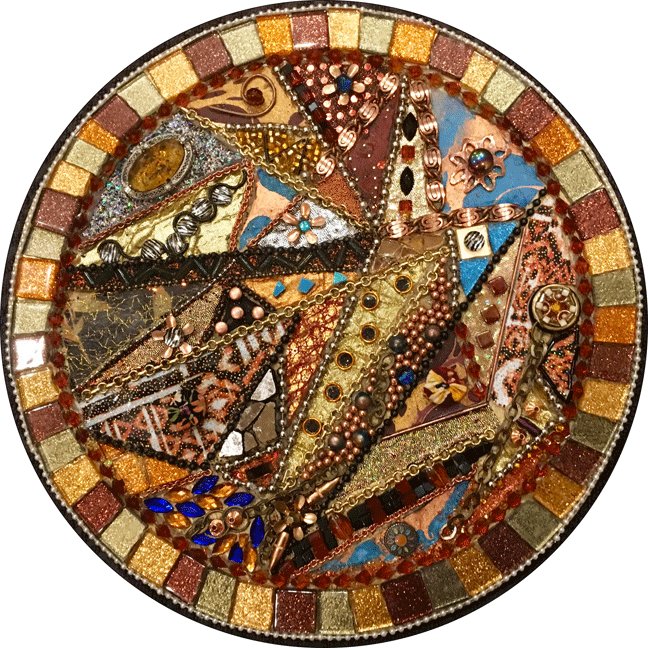 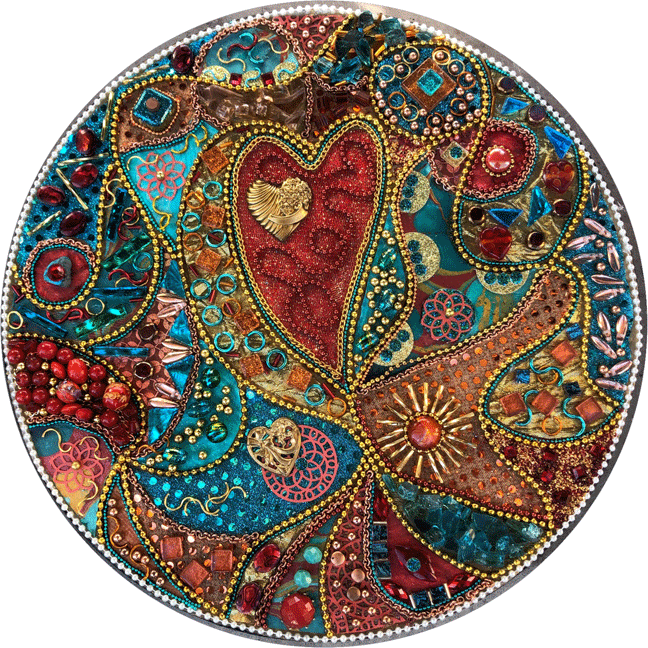 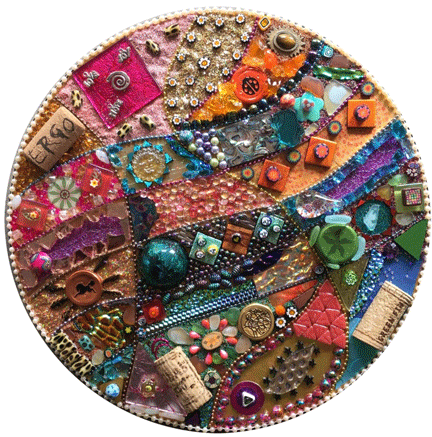 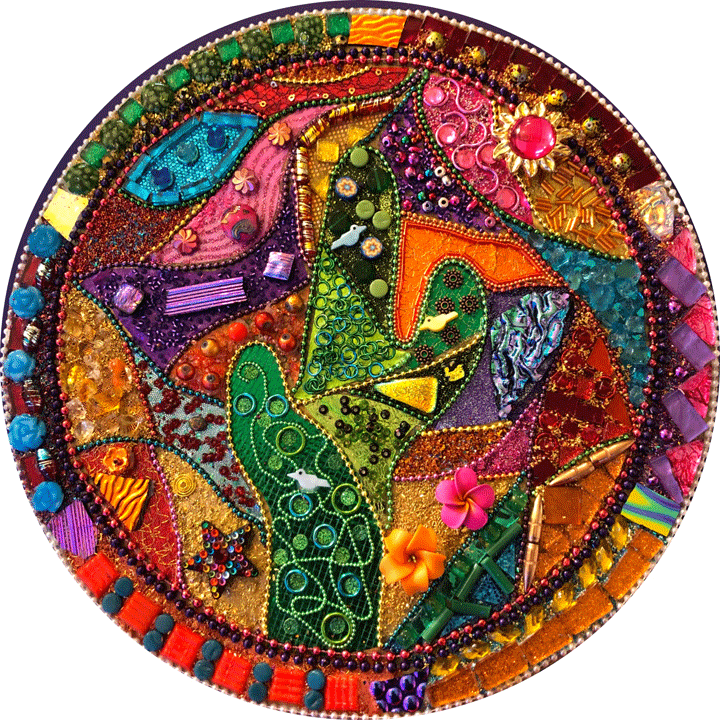 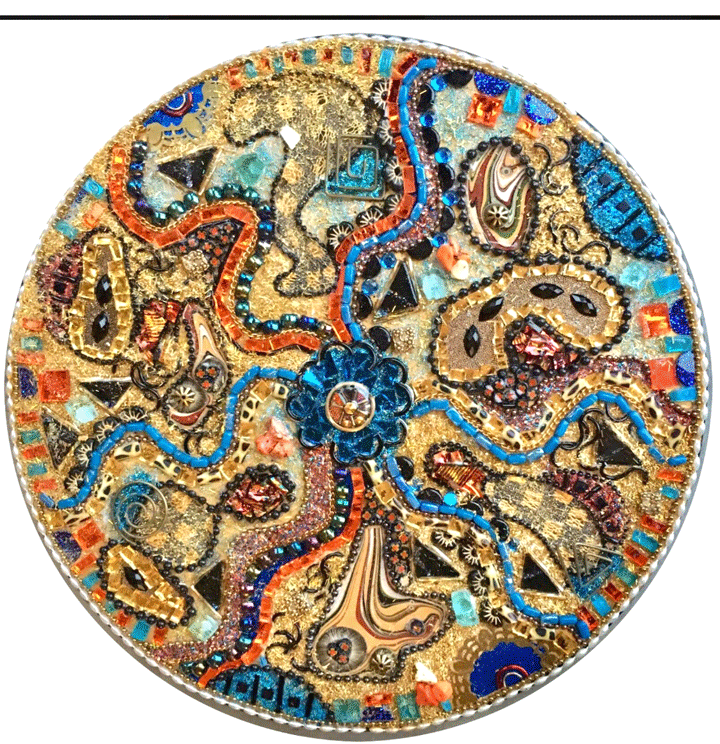 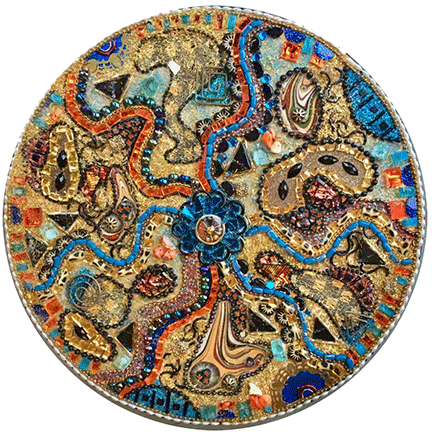 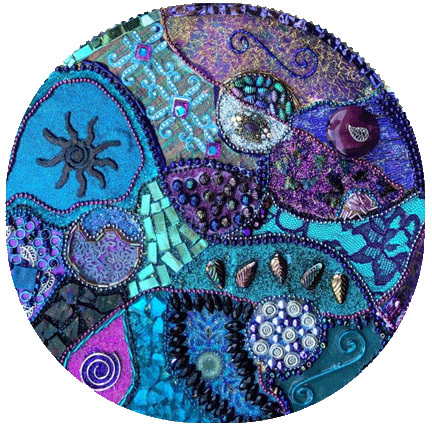 In these workshops I will teach you how to incorporate lots of different mixed media into your mosaic. 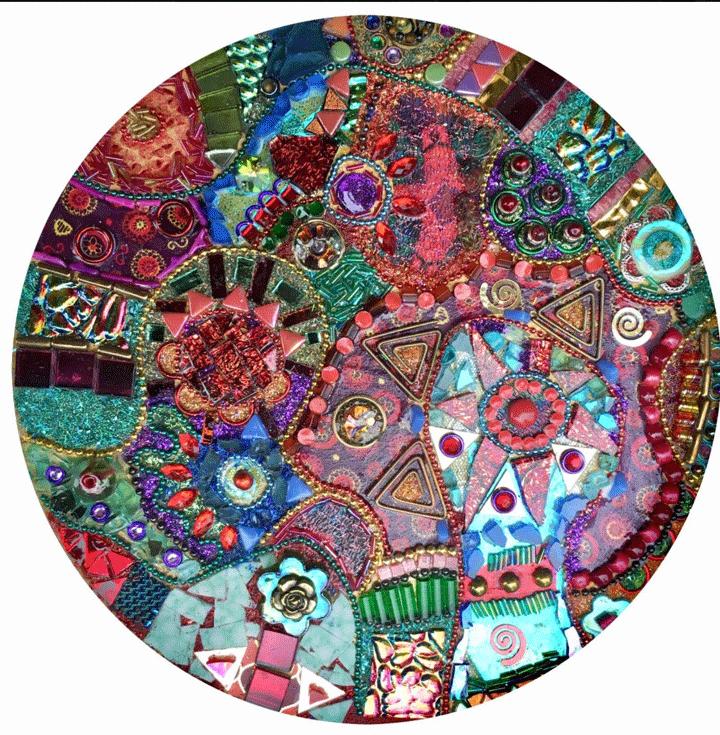 We work in an abstract form creating different patterns and textures. 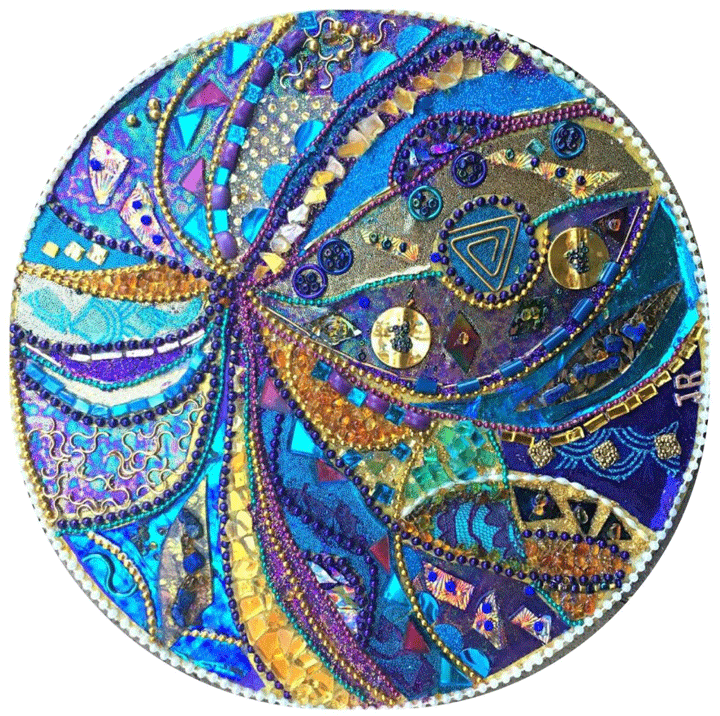 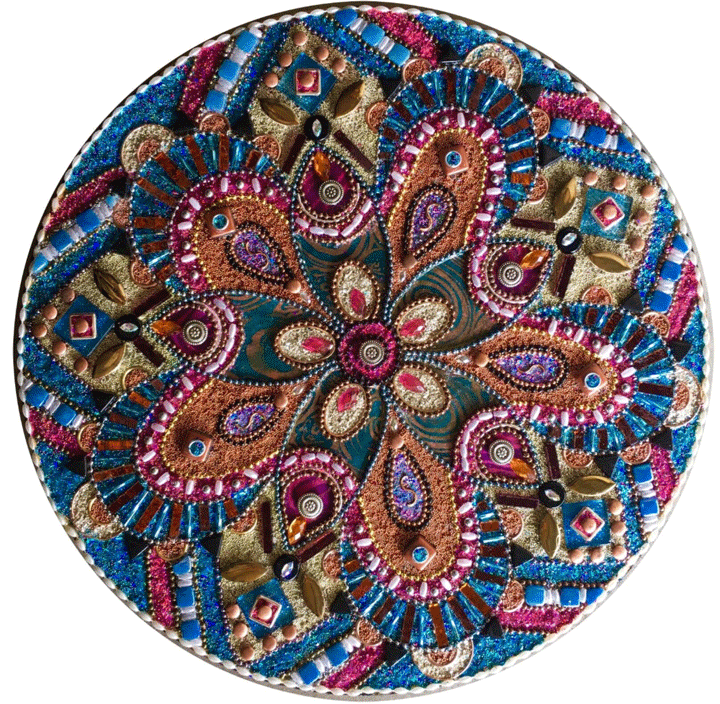 I will instruct you on how to weave throughout your creation beautiful fabrics, handmade paper, iridescent film, metal, glass, beads, found objects and my GlamGrout™ which adds sparkle & texture. 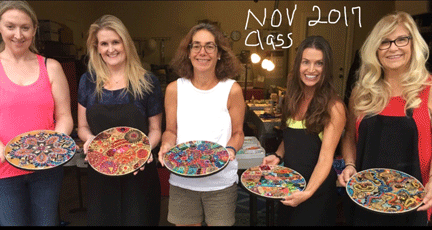 I only take 6 - 8 students per workshop so I can give everyone lots of attention. Most of my students have never worked in this medium but have embraced all the materials and created such fantastic pieces. Below are some pictures of what these beginner students created! It makes me so proud and fills my heart with such joy! 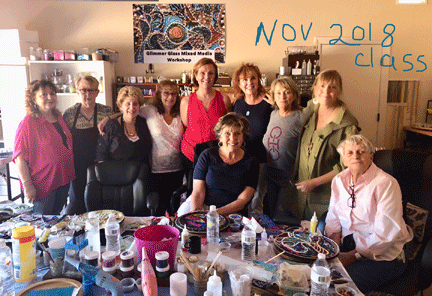 Glimmer Glass Workshops- My Glam Squad!